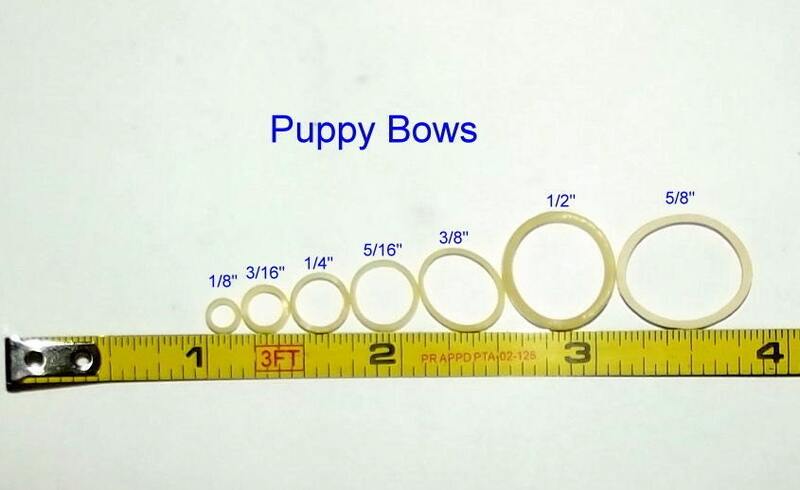 THIS LISTING IS FOR CHICKEN LEG BANDS, NOT DOG GROOMING BANDS! 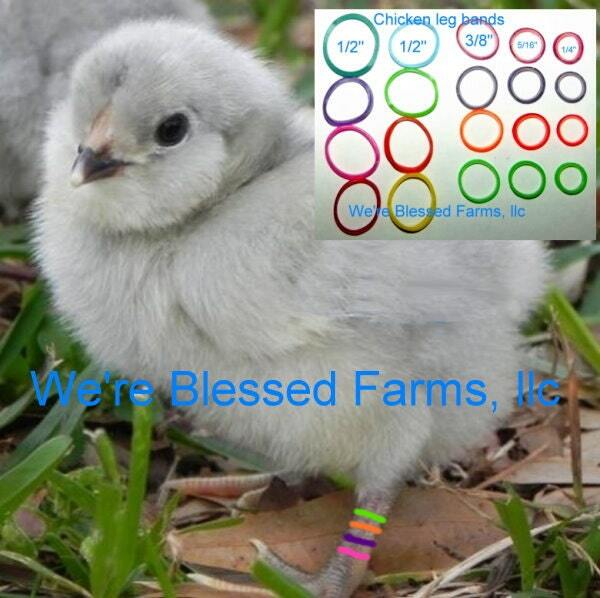 If you order from this link you will receive chicken leg bands. I have multiple listings in my store for dog, craft and doll bands. Each pack includes colored bands made from non latex material. Buy from an expert in medical elastics. I sell these all over the world for multiple uses. 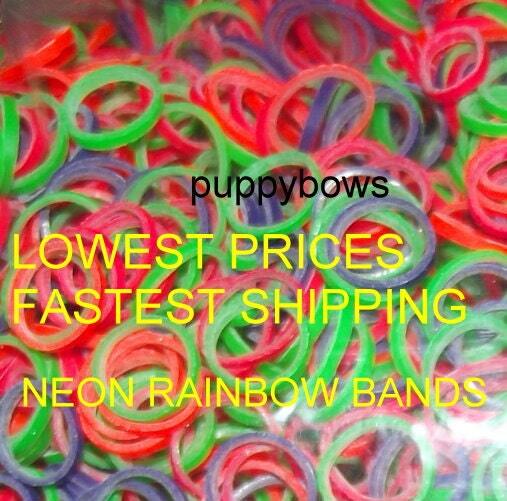 All of our rainbow elastics are made in the USA of medical grade non latex. We offer a vast array of sizes and quantities for all your needs. These bands are easy for you to remove and if you forget to remove them in time as they grow, no growing into the leg like a hard plastic or metal bands. Save those until they are going to show. These are stretchy elastic bands used by animal lovers, medical personnel, crafters, fishermen and more. I also have chicks. I suggest the 3/16" or 1/4" for chicks, 5/16" for young poultry and 3/8" or 1/2" for adult chickens. All sizes include 4 colors with the exception of 3/8 (12 color) and 1/2" which has 8 colors. If you have more than 4 breeds just use 2 or more bands and mix/match colors. I also have a sample pack available with 200 assorted bands of all sizes and colors. This sample pack includes an assortment of the chicken bands only. Thank you! They are perfect. These bands were exactly what I ordered! Bright colors to tell my chicks apart! Thank you! Seller shipped promptly, Large enough variety that I'll be able to use this product for a long time. Just what I needed and super fast!